Want to travel to India? Enjoy guided walks? Would you like to help a street child? 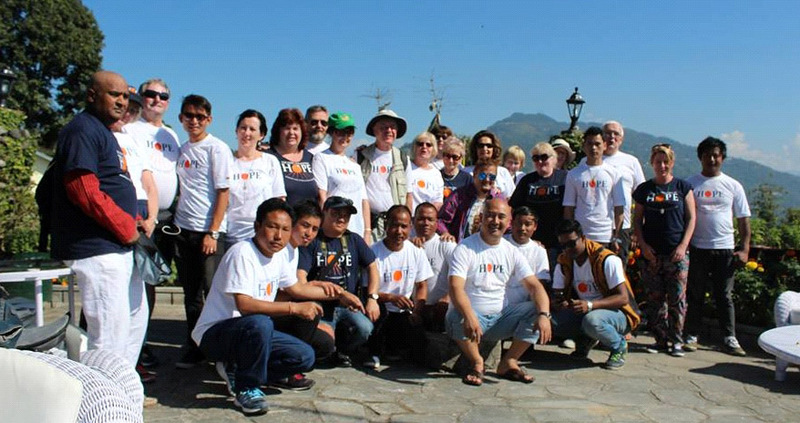 This fantastic walk will see you travel to India for the experience of a lifetime with The Hope Foundation. You will walk in the majestic Himalayan foothills in the north of India in the states of Sikkim and North West Bengal. Walk destinations for this year’s trip will be: the environs of Kalimpong (West Bengal) and Pelling (Sikkim). This is a trek that caters to all fitness levels in a moderate climate, walking in forests, spice plantations and through local villages and farmland. People of all ages and from all walks of life have enjoyed this life enhancing experience with HOPE. A unique aspect of this trip is that you will also visit HOPE’s projects working with street children and vulnerable families in Kolkata (Calcutta) where you can see how your funds are helping change lives . All profits go to HOPE’s projects helping street and slum children to break free of poverty. Would you like to take part? For more details, email info@thehopefoundation.org.uk or call us at 020 8133 0863.